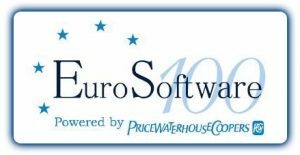 Eurosoftware100 has published its 2009 list of the top 100 French software publishers. Eurosoftware100 is a European ranking system and series of indices for the software industry managed by PricewaterhouseCoopers. Due to an 80% revenue increase in 2008, Exalead jumped ahead 30 places in the ranking within one year (from 95th place in 2008 to 64th place today) — a leap we are very proud of! The Blogz Has Arrived !